Replaces OEM: Honda: 08750-960-333, 72511-960-000, 72511-960-004, 72511-960-020, 72511-VA2-690, 72511-VA4-000, M2100-576-91938. FITS MODELS: Honda HR215 and HR216 with 21" decks. 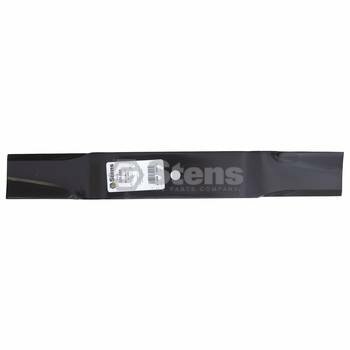 SPECS: Length: 20 3/4", Center Hole: 13/16", Outer Hole: 3/8", Center To Center: 3 7/16", Width: 2 1/4", Thickness: .149", Packaging Type: Branded label, Honda code 2801595/124538/0932533/2788289/145073/091381. Replaces OEM: Hustler: 781898, 782532, 783753, 785436, 795526, FITS MODELS: Hustler Fas Trak, Mini Z, Super Mini Z and Hustler Z; requires 3 for 52" deck. 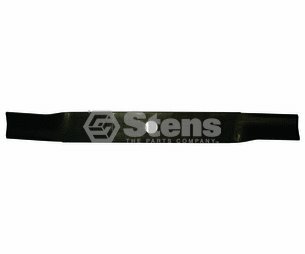 SPECS: Length: 17 7/8", Center Hole: 5/8", Width: 2 1/2", Thickness: .203", Packaging Type: Branded label. Replaces OEM: Woods: 13404, 13404KT, 31306, 31306KT. FITS MODELS: Woods L306, RM306 and RM600; requires 3 for 72" deck. 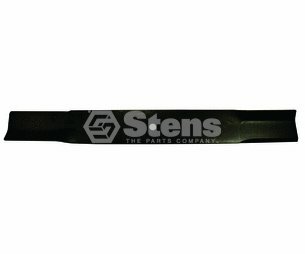 SPECS: Length: 24 7/16", Center Hole: 1", Width: 2 1/2", Thickness: .203", Packaging Type: Branded label, Left hand blade. Replaces OEM: Bush Hog: 82325. FITS MODELS: Bush Hog Requires 3 for 72" deck. 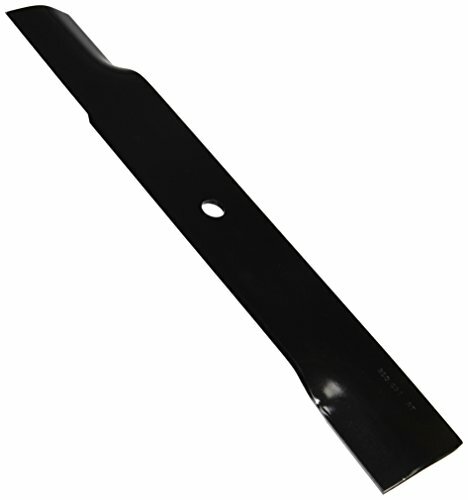 SPECS: Length: 25", Center Hole: 1/2", Width: 2 1/4", Thickness: .250", Heavy-duty. REPLACES OEM: Grasshopper: 320236, Woods: 70104, 70104KT, 70117. FITS MODELS: Grasshopper Requires 3 for 52" deck, Woods Requires 3 for 52" deck. 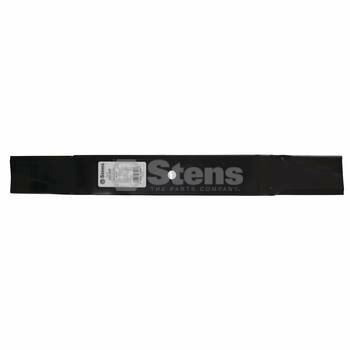 SPECS: Length: 18", Center Hole: 1/2", Width: 2 1/2", Thickness: .250"Packaging Type: Branded label, Heavy-duty. Replaces OEM: lesco: 050272, toro: 106-0629, 108-1124, 44-6250, 44-6250-03. Fits models: toro groundsmaster; requires 3 for 62" deck. 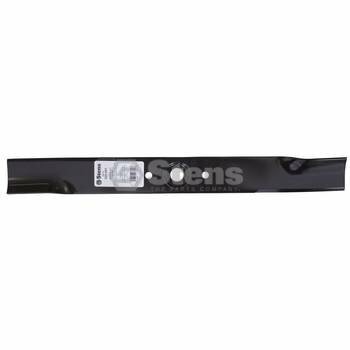 Specs: length: 21 1/2", center hole: 1/2", width: 2 1/2", thickness: 203" packaging Type: Branded Label. Replaces OEM: John Deere: M143520. 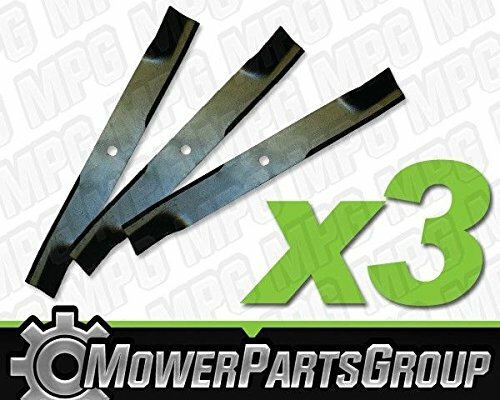 FITS MODELS: John Deere GT225-GT245, GX255, GX325-GX355, LX266, LX280, LX288, X340, X465-X495, X500, X520, X534, X540, X575-X595, Z425 and Z445; requires 3 for 54" deck. 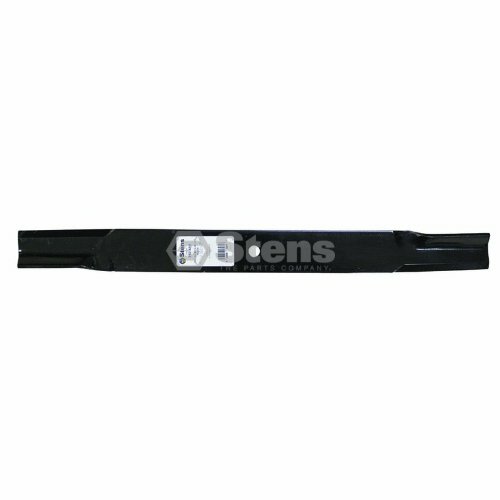 SPECS:Length: 19", Center Hole: 13/16", Width: 2 3/4", Thickness: .203", Packaging Type: Branded label. Leaves are falling ...high lift or mulching blade? Two-blade vs. Three-blade Prop - Which is Faster?